Lapel pin with a gold centre depicting an aeroplane in flight. 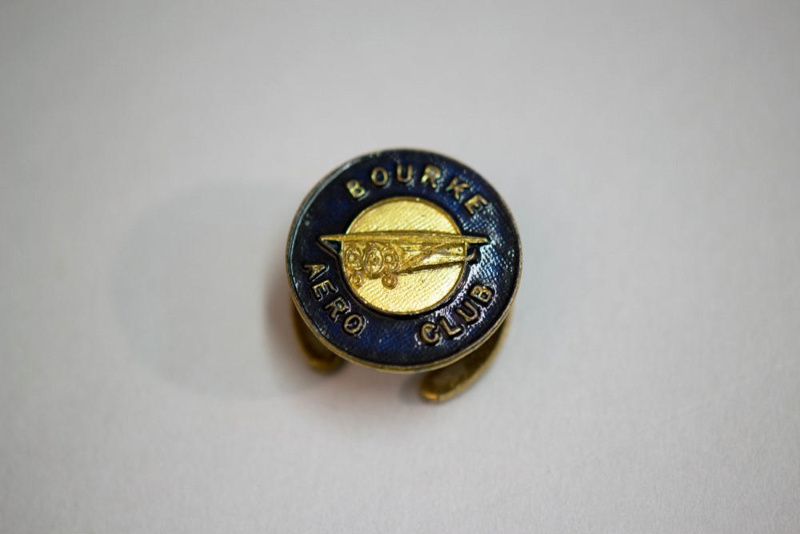 Surrounding is a dark blue circular disc with the words: "Bourke Aero Club" embossed. On the rear is a horseshoe shaped clip to hold the pin onto a lapel.